On this Sunday: Children play. Imagination takes over and runs wild through our day. 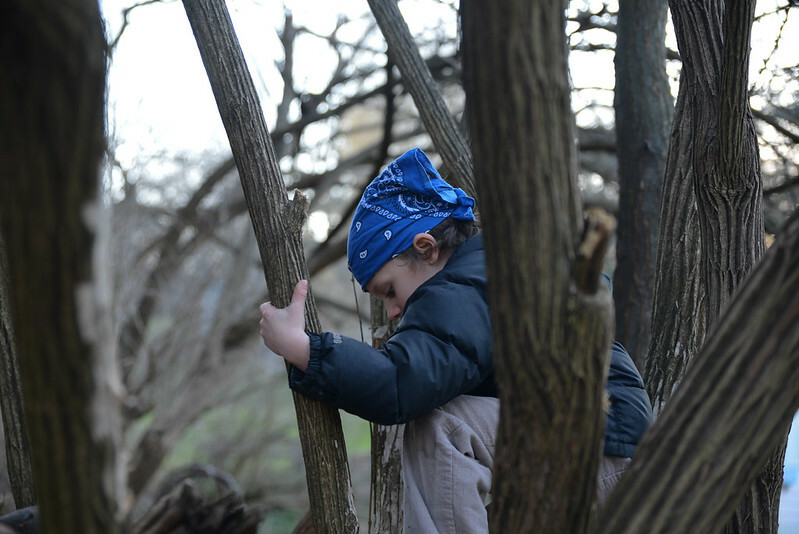 We are pirates, the captain, the captive, the tree climbers, the children playing in woods. You've captured your son beautifully. I really love the colours in this photo. Wishing you a lovely Monday. I absolutely cannot wait to hear my son speak his first words and tell me all of his thoughts and imaginations.